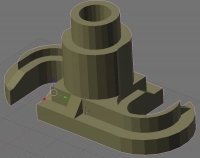 I’ve designed a little part that allows you to connect the extrusion drive mechanism, which pushes the plastics, to the extruder which it is pushed through. It is a holder for a 4.67 mm PTFE cable that serves as a guide for the filament. The plastic feedstock will travel from a driving mechanism to the extrusion head, through this flexible tube. The PTFE, a.k.a. Teflon, a very low friction. This solution will allow you to have multiple extruders on your machine without the moving mass becoming too heavy. The lighter it is, the quicker you can move the heads, e.g. when you’re not extruding. The machine will need less current to run the motors, it reduces stringing when not extruding. Even more so, it reduces the weight of the X-axis so much that a much simpler and lighter Cartesian bot is possible. The steel rods wouldn’t necessarily be needed, allowing a much larger ratio of self-replication. The Bowden cable itself could be printed in several modules that snap together. This guide could be lined with telfon-tape (available in every hardware store) that can be replaced when worn. It has one major drawback. 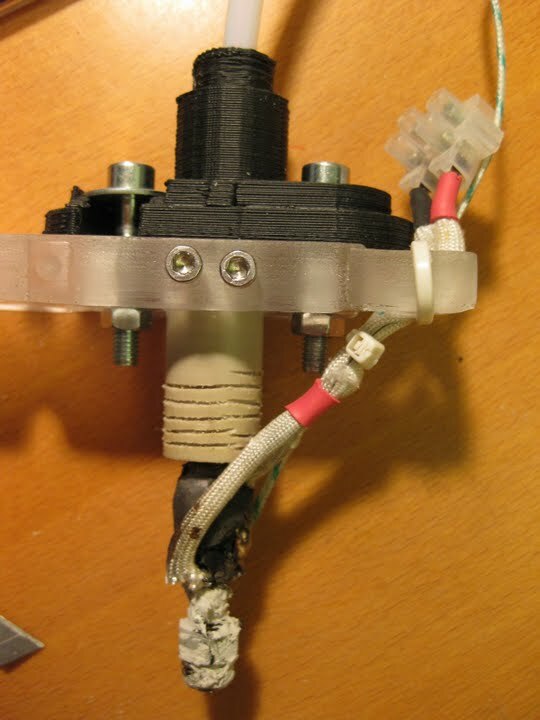 The need for a control mechanism that accounts for pressure on the filament is needed. The tube is a bit flexible, and so is the plastic filament. This makes the assembly a bit springy. But when you use a flow-control system that accounts for pressure, you will end up with much better quality. The extrusion starts and stops *very* sharply. You can do this by pulling back after extruding a segment. After that, you push it in as much as you pulled it back and simply start extruding again. You do need stepper based extrusion to adequately be able to control how much the filament is pushed into the extruder and pulled back out. I’ve been using the cable for a while now, but I need to write a batter algorithm that manages the tension that is put on the filament. Actually I did write one, but it’s not perfect yet since I ran into another bump. Right now, this algorithm is causing a bug in my RepRap’s firmware when I try to rotate the stepper motor in the opposite direction (using negative extrusion values). 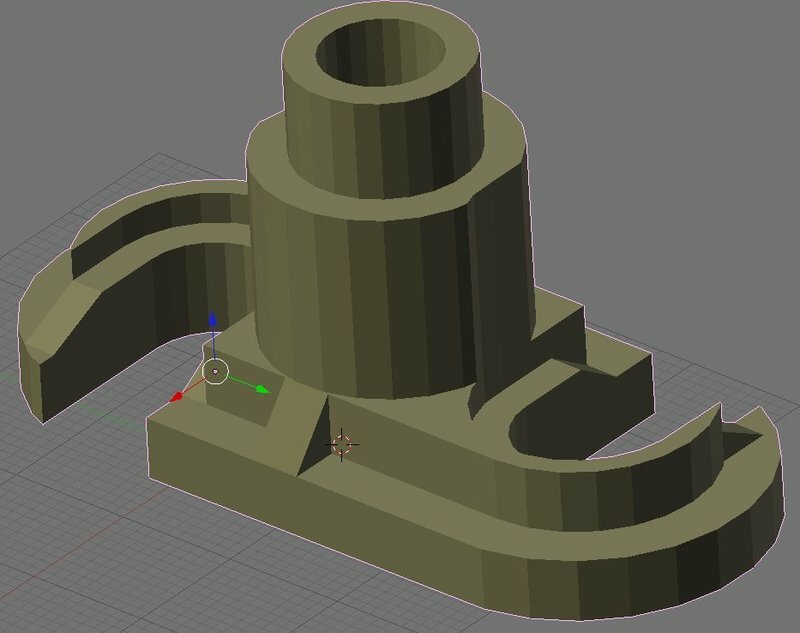 You can find the STL and source files of the object on Thingiverse, the online digital repository for physical objects.